In honor of my Merrell hiking boots that I finally had to bid farewell after many years. They gave out during our Torres del Paine hike, I mean absolutely gave out! When I would step in water, air bubbles would gurgle out from around the entire sole, and then they would squirt out water for the next half mile. It was really sad, but I had to say goodbye to the boots that took me many, many miles! I desperately need to find another pair of Merrells!! Merrell “Boots” will be greatly missed, remembered as a sturdy sole and always one to put their best foot forward. “Boots” came to us in 2008 in Dallas, Texas. Their first trek happened just weeks after our introduction, it was to Blood Mountain on the Appalachian Trail in Georgia. In their younger years, there were unforgettable trips to hike in Tierra Chamua, Mexico and summit Wheeler Peak, and many many more. As Merrell matured and realized their full potential, they achieved bigger challenges like the infamous Maroon Bells trip, an ascent of Black Tusk, Panorama Ridge and Wedgemont Lake in Garibaldi Park, and Canyonlands in Moab. Then “Boots” went international, trekking the Himalaya’s Annapurna Circuit in Nepal (18,100 ft), Southeast Asia, and summiting Mount Kilimanjaro in Tanzania (19,3600 ft). 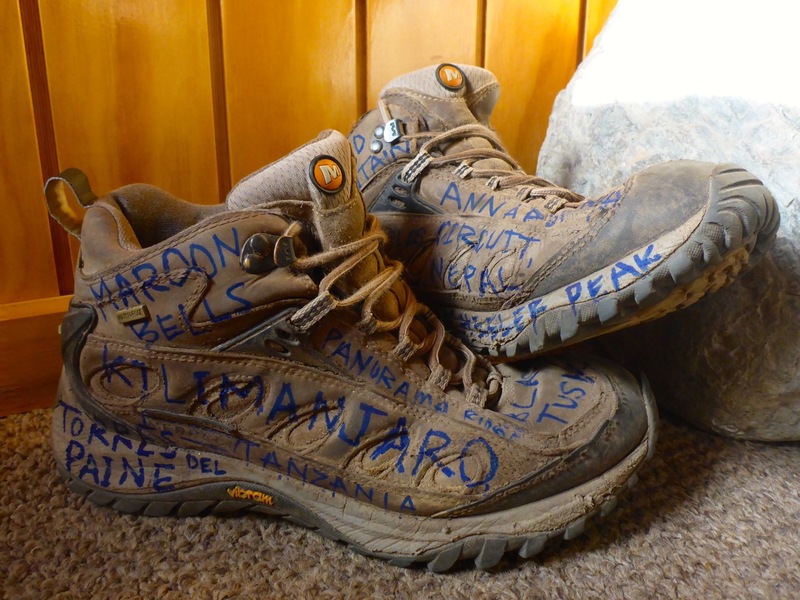 Merrell “Boots” had dreamed big dreams of South American treks almost their whole life. Fatefully, that dream would be the last for Merrell “Boots”. 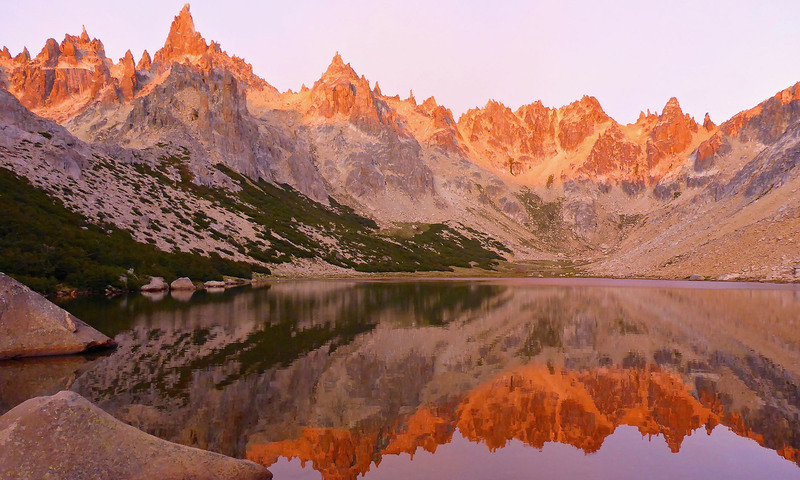 Their life ended on an epic 8 days trek around Torres del Paine in Chile; they died of natural causes, from old age. Merrell “Boots” will be remembered as always supportive, well grounded and willing to get down and dirty with you. For their owner, they were the one thing on any trip she knew she could count on and inspired the confidence to take on otherwise intimidating peaks. They are survived by their owner Liz Agostin and her husband, Rick; siblings Saucony running shoes and Chaco sandals, and dozens of high-heeled cousins. A private memorial service was held at Erratic Rock in Puerto Natales, Chile. In lieu of flowers, please send donations for new hiking boots to Liz Agostin via www.theagostins.com. Your beautiful soles will always be in our hearts! May God rest their soles.